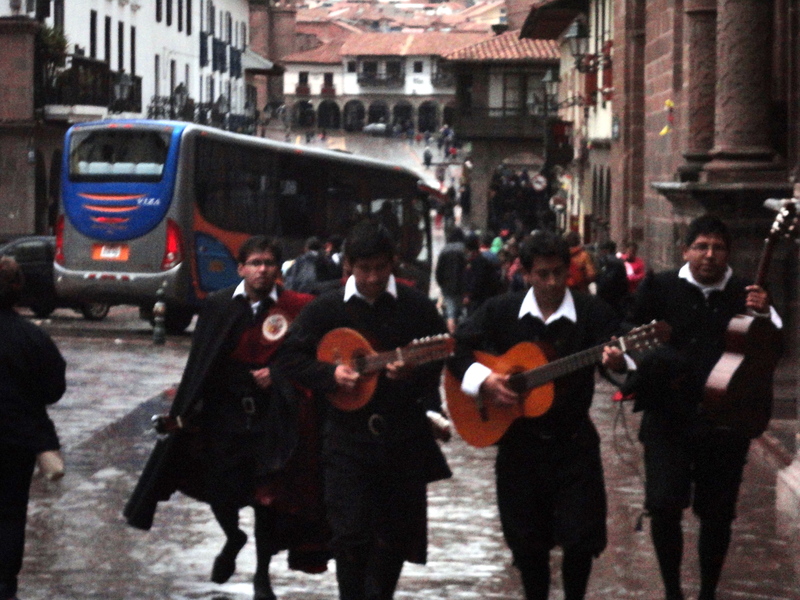 If you only have time to go to one town in Peru, then Cusco would be your best shout. I absolutely loved it here. The touristy city centre is full of life, clean, tidy and safe. You see the poorer areas where the locals live like a favela frame around the city centre. Although I was warned and told to be careful if going there, I have from a friend source of mine that it’s relatively safe there as well – as long as you keep the same precautions as anywhere else in South America. 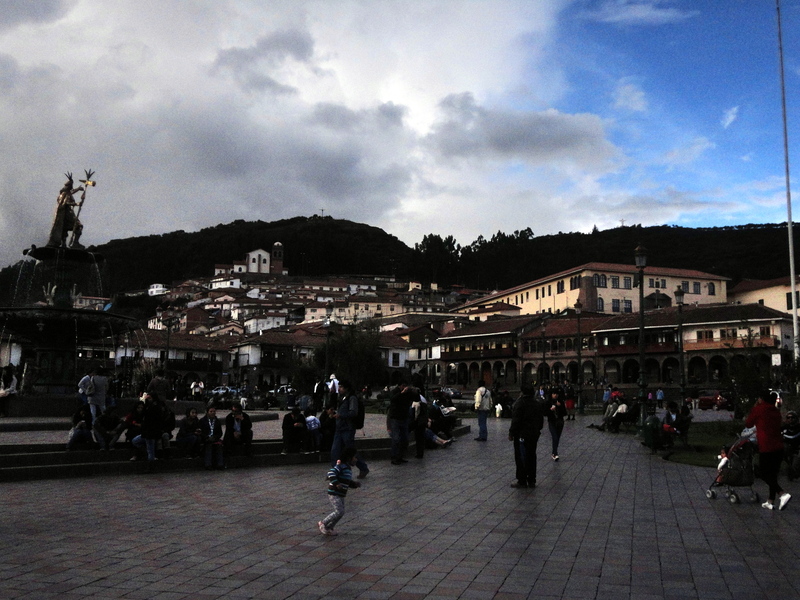 The people I met in Cusco, however, were all really nice and understood very basic English (presumably taught by the many shopping crazy tourists). 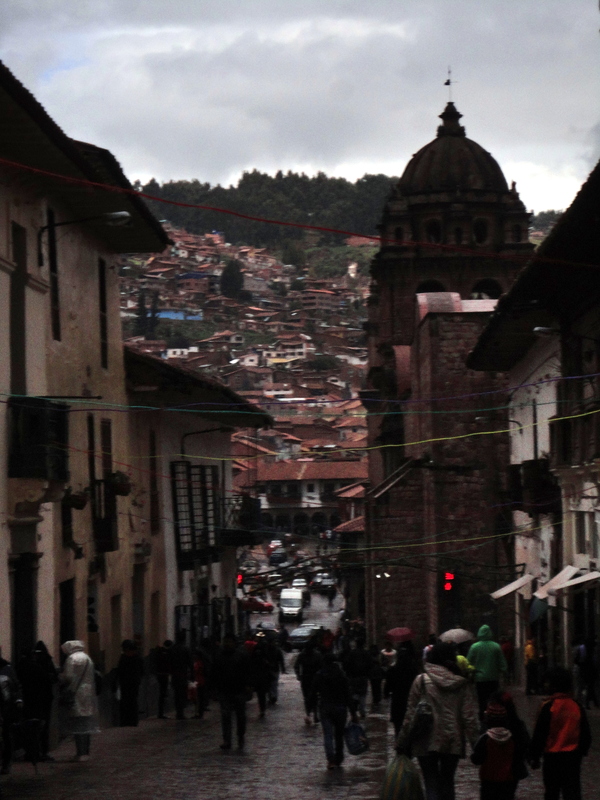 It’s a good thing too because if you want to get your shopping of cultural artifacts done then Cusco w/surrounding cities are the place(s) to do it. I still struggle to find such varieties of items in Lima and Huancayo. Moreover, do not forget the many tour offers up for grabs if you have the extra time and money! 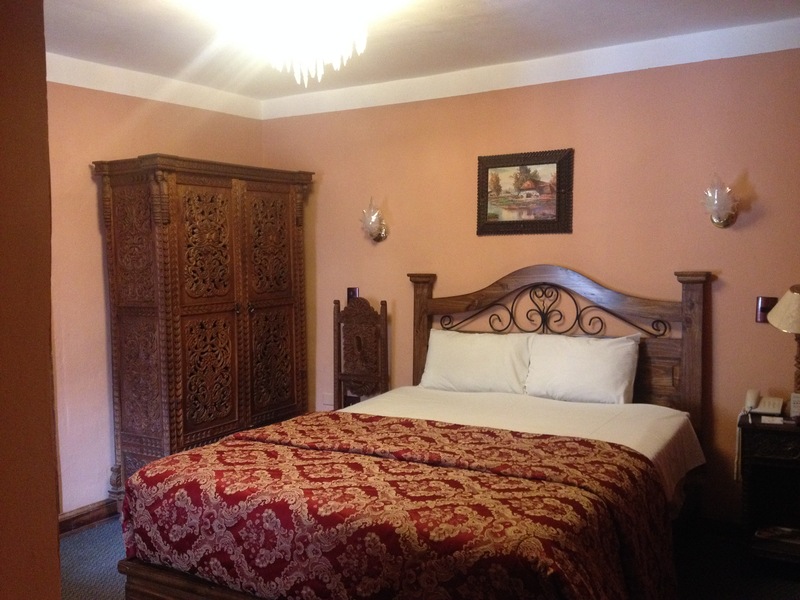 My review today is, however, of the Marqueses Boutique Hotel. 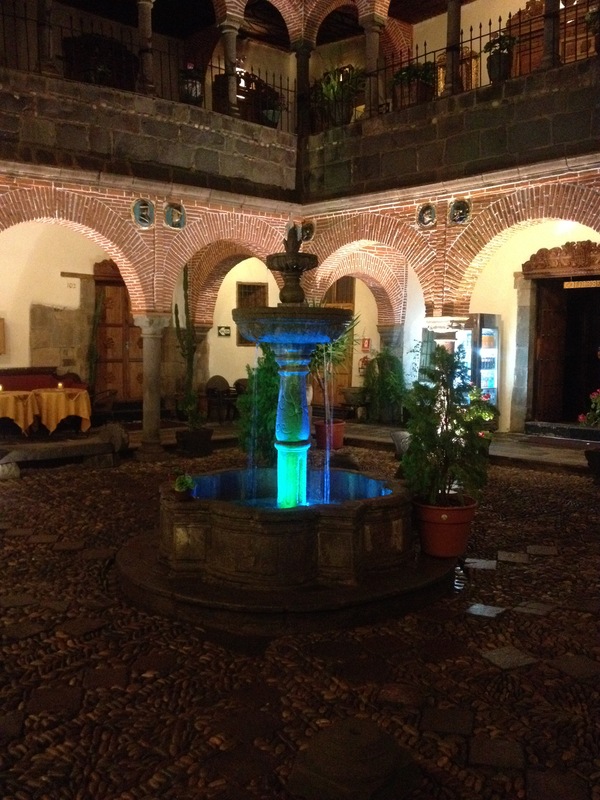 As it collaborates with SAS travel agency, I stayed here to spoil myself a bit before and after the rough Inca Trek. 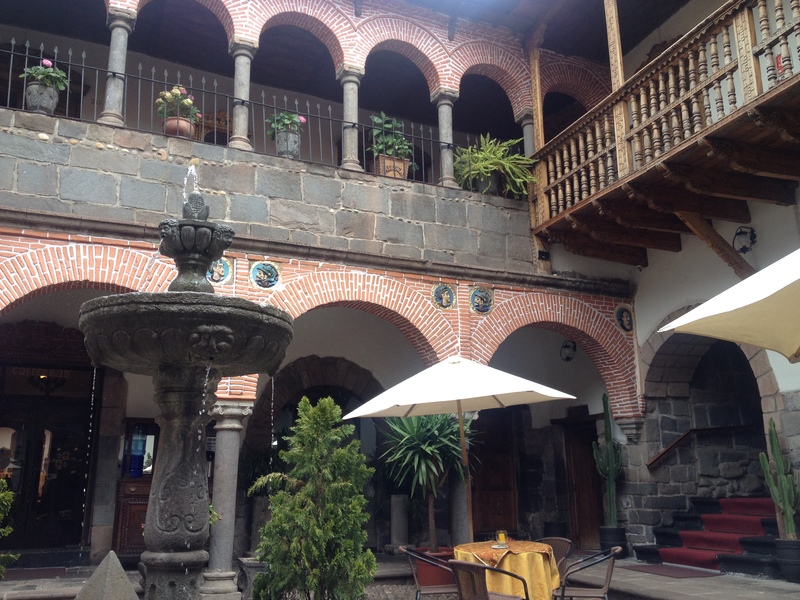 If you decide to become a guest of theirs, not only will you enjoy the beautiful architecture of the rebuild monastery and Luxurious rooms for a medium western price, but you’ll also get free cocoa tea whenever you want to help you with altitude sickness, a delicious breakfast buffet from 5am to 10am and wifi included in the price. 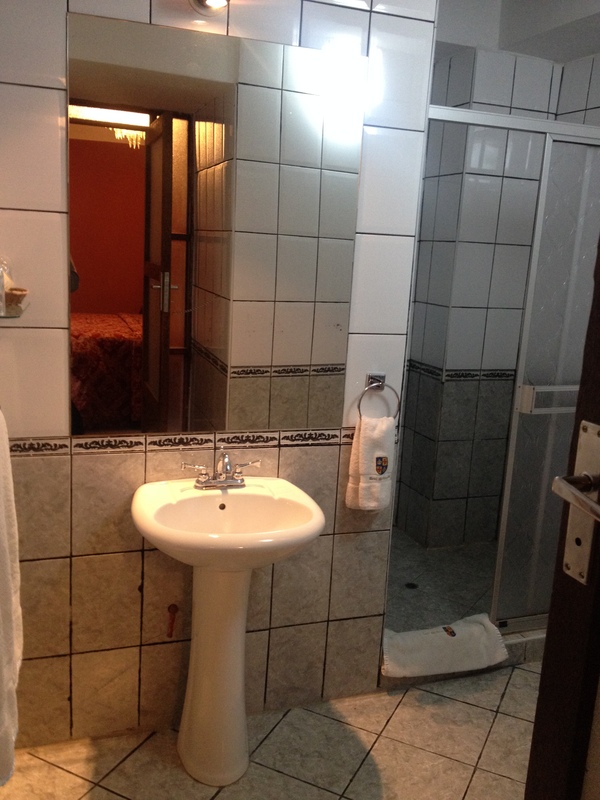 They also got hot showers which I understand by other travellers is hard to come by in Peru (tip: if the hot water runs out, turn off the tap for half a minute and it’ll be back on). 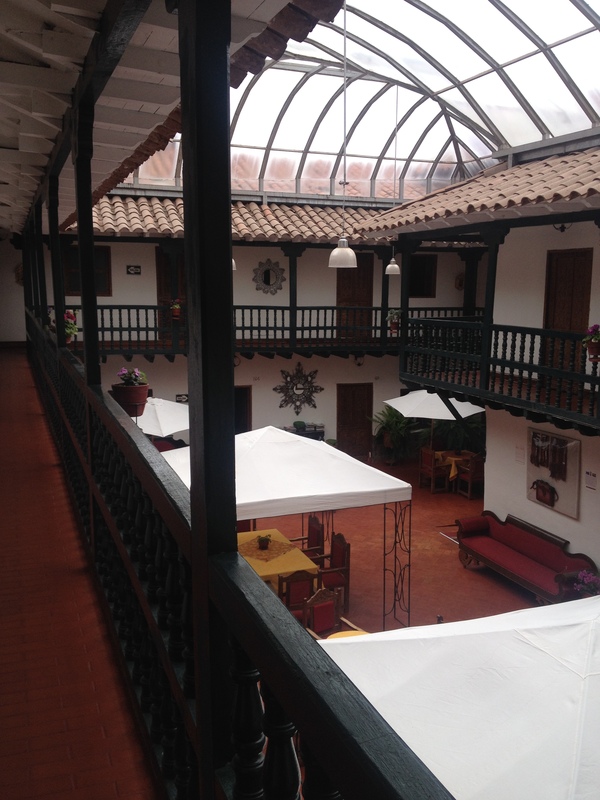 If you’re not willing to pay the higher price for a hotel accommodation, however, I’ve heard that Loki hostel Cusco is one of the best Loki hostels. You’ll find my review of Loki hostel Lima in the next post! Describing the Peruvian houses is like describing buildings coming out of the mountain sides and dirt. I questioned this until I learned the Incas used to build everything according to nature instead of shaping nature to their communities. I kind of envy them that. so it’s pleasant to read this website, and I used to pay a quick visit this blog all the time.